Women in the Boardroom Webinar: Presenting Yourself Elizabeth Ghaffari tells members how to "Reflect Your Worth in Your Presentation Skills"
Also reprinted in Women In the Boardroom from the original posting in ChampionBoards blog. Elizabeth Ghaffari, Julia Dilts and Mike Miller of Maverick Angels and Pam MacDonald of Pam Mac D's Gluten Free Markets were interviewed by Betsy Berkhemer-Credaire on Unifinished Business - KFWB-980 Business Radio. Women Leaders at Work is now available for purchase as individual chapters. See: Buy the Book for links to subscriber sites. Lahla Wolfe of About.Com's Women in Business provided a book review of Women Leaders at Work. Thank you Lahla! 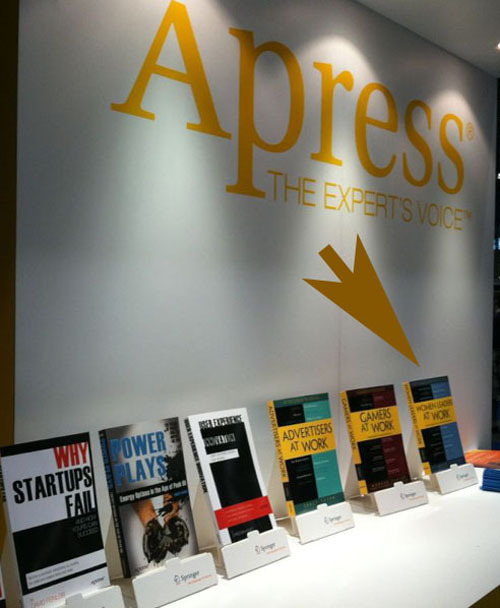 Women Leaders at Work featured by Apress Publishing at BookExpo America (BEA), the leading North American publishing event bringing you what's new and what's next in book publishing, the digital publishing revolution, authors and more for publishing industry professionals. 5-star review by Shauna Morrison, COO of GMI-3D - "Game-Changing Inspiration"
NewsOnWomen.com highlights Women Leaders at Work. Apress Publishing press release of Women Leaders at Work: Untold Tales of Women Achieving their Ambitions by Elizabeth Ghaffari. Women Leaders at Work web site at Apress Publishing.